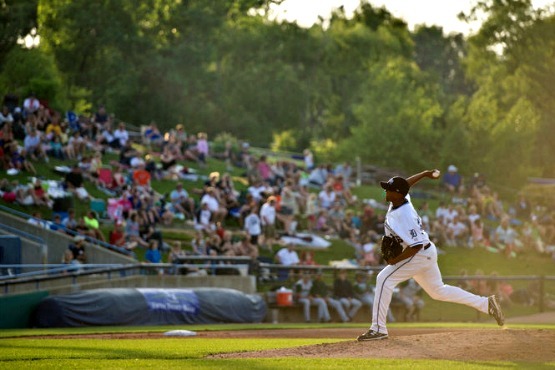 This season the Midwest League Summer All-Star Classic was held at Fifth-Third Bank Ballpark in Geneva, Illinois, home of the Kane County Cougars. 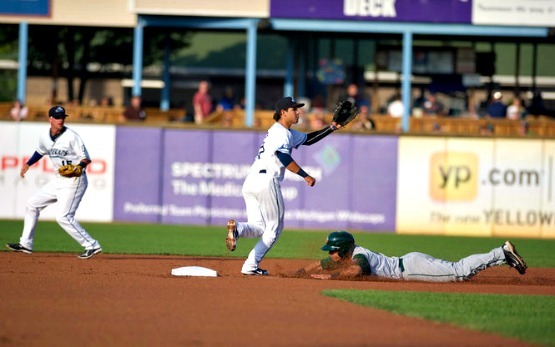 The stadium should not be confused with Fifth-Thrid Ballpark in Comstock Park, MI (Whitecaps), or the two different Fifth-Third Fields in Dayon and Toledo, OH (Dragons and MudHens). 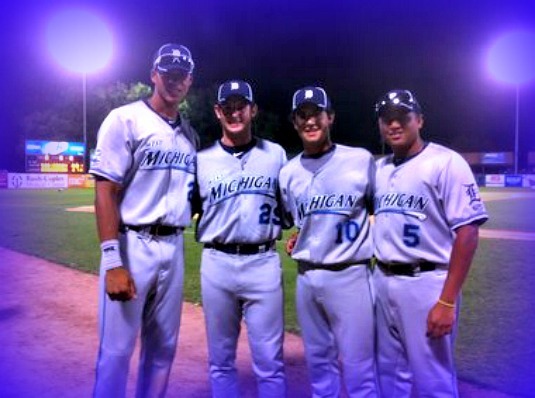 Anyway, the West Michigan Whitecaps were well represented in the 2012 ‘mid-season’ classic, as outfielder Steven Moya, infielder Eugenio Suarez, and pitchers Tommy Collier and Michael Torrealba attended the event. 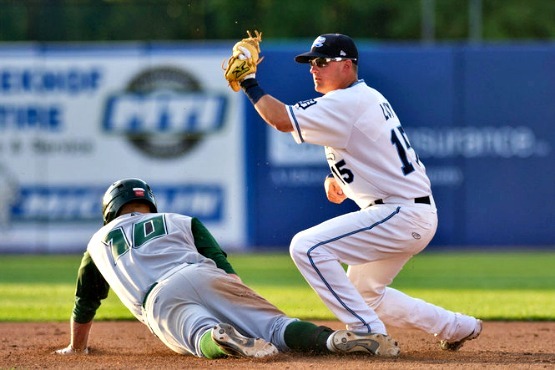 Designated hitter Dean Green was also selected to the Eastern Division team, but was unable to play due to being on the DL. The Eastern Division decimated the Western squad 18-2, and a few of the ‘Caps contributed to that score. Moya went 1-2 with two runs scored, and drove in three runs on a bases-loaded triple. He walked and scored a run the first inning, as the Easterners went up 5-0. 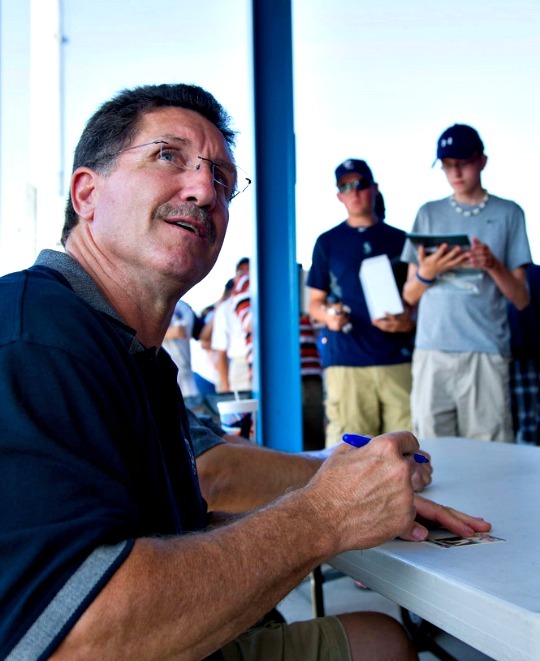 They ended up scoring 13 runs in the first two innings on 20 hits against the Western Division pitchers. Moya seemed happy with his performance. Suarez played a little shortstop, and went one for two in the game, including a two-out single in the sixth inning. 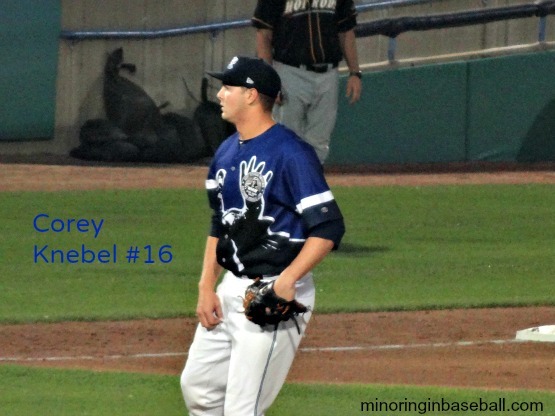 Relief pitcher Michael Torrealba never entered the game, but Collier did face one batter. He stopped the Western Divisions two-run ‘rally’ with a strke-out to end the inning. He also seemed happy with the game. 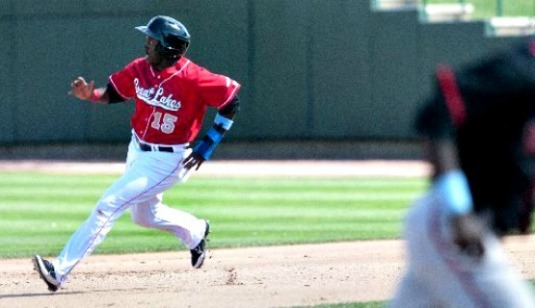 The hero of the game, however, was Great Lakes Loons first baseman O’Koyea Dickson. He was a late addition to the Eastern squad, replacing the injured Whitecap Green, but made the most of his opportunity. He went 2-3 in the game, including a two-run homer in the first inning. 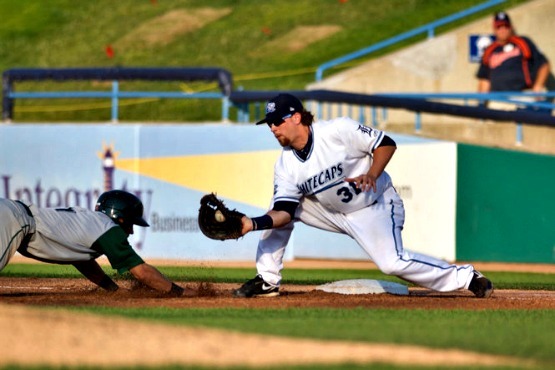 Dickson was named the Midwest League All-Star game’s Most Valuable Player for his efforts. 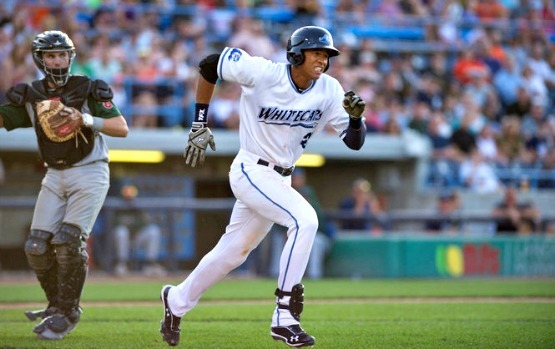 We’ll be able to see all of these great players in action in just under two weeks, as the Loons will host the Whitecaps on July 2. It should be a fun time, and the kids have never been to Dow Diamond before, so they’re really looking forward to it!